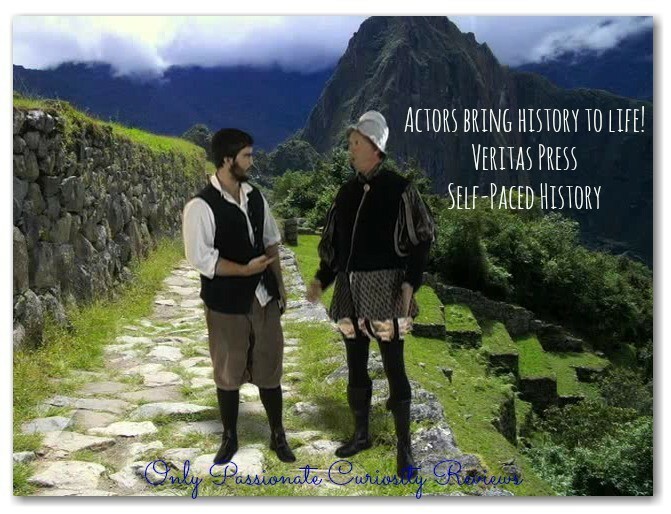 Have you heard of Veritas Press and their Self Paced History courses? When this review came up with the Schoolhouse Review Crew, I totally admit to jumping up and down and begging to be on the review team. 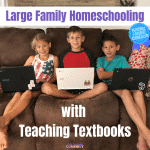 I’ve wanted to try the courses ever sense I first heard of them on my favorite homeschool forum, but I had never bit the bullet to try them because I wasn’t quite sure what I would be getting myself into. 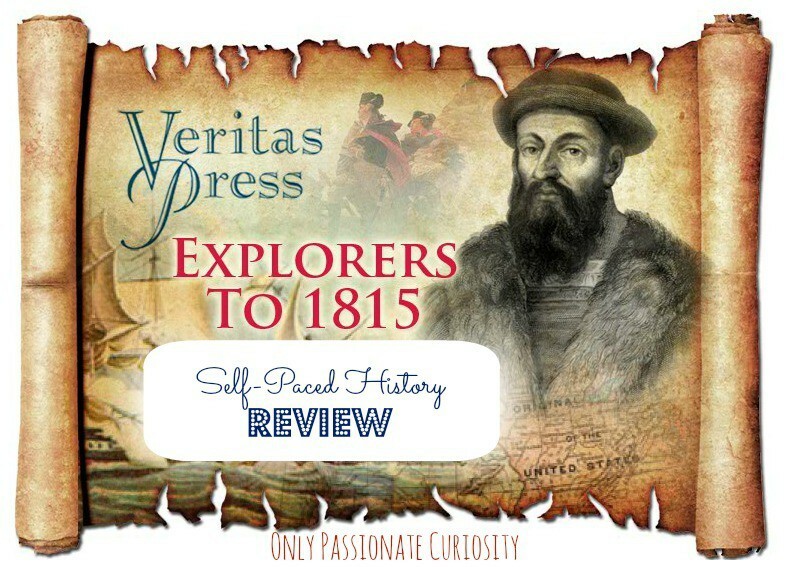 For this review Bug enrolled in the Veritas Press Self Paced History: Explorers to 1815 course, and received the coordinating Explorers to 1815 Flashcards. 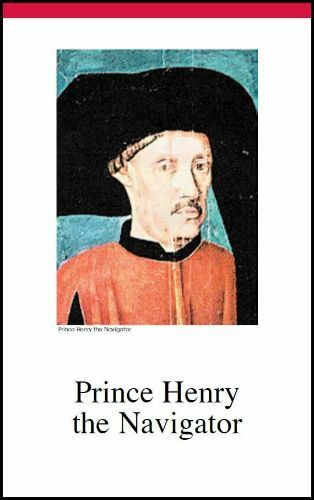 How do the Self-Paced History Courses Work? 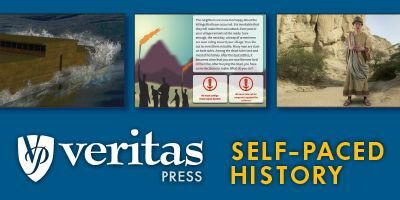 When you enroll in a Self-Paced History course with Veritas Press, what you are getting is a year long class, taught to your student, which you access online. There is not a “teacher” element to the course, but there is a prescribed sequence you need to follow, as well as assignments and tests which your child will complete throughout the year. 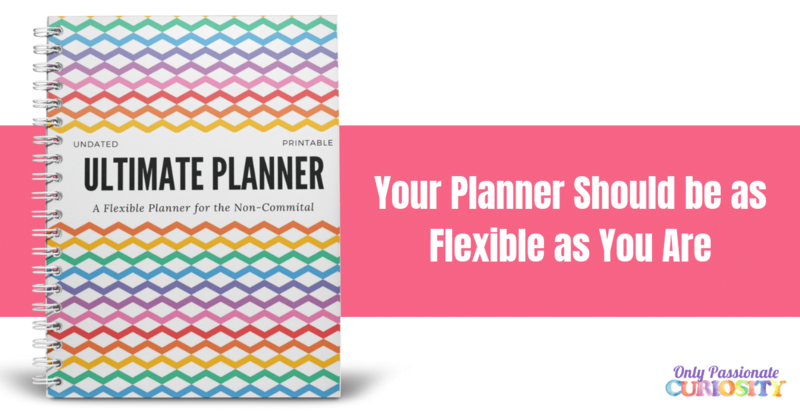 You will have access to the course for one calender year from the date you choose to start the class, so you do need to make sure you stay on top of the content to keep the pace of the course and make the most out of the time you have. There are a total of 160 lessons, intended to be completed over 5 days a week for 32 weeks. The courses are all in chronological order, containing the most important historical events and people from the time period. The content is based on the information in the Veritas Press History Flashcards. Content is delivered through videos, animations, games, and tons of interactive elements. Each week includes one worksheet, and one test, completed online, and has optional (but recommended) outside reading assignments (books not included). 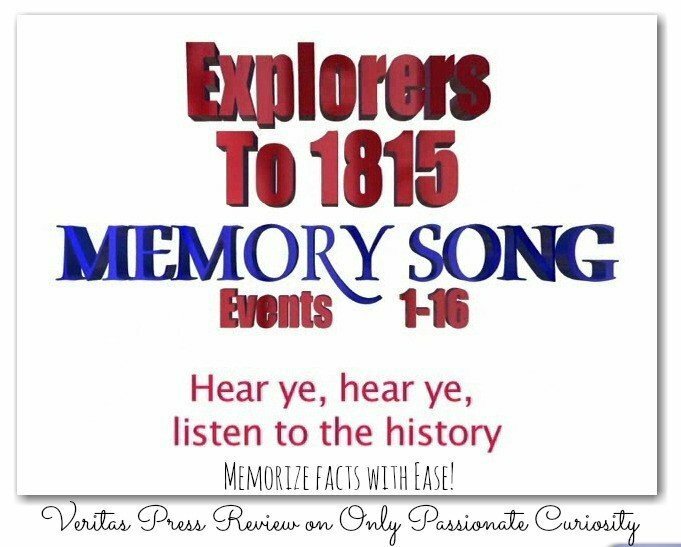 What does the Explorers to 1815 Course Cover? This course starts with a study of the explorers who “discovered” america, and the experiences they had looking for the new world, and continues on with the early history of the united states, until 1815. I don’t know about you, but even though I took (and totally killed, because I’m smart like that) AP US History in high school . . . I don’t remember many of these events. And this is an ELEMENTARY course! It’s real history, and a whole lot of it. Each of these 32 topics has 5 lessons, which explain the event in detail, and even bring the history to life with actors in costumes who tell their stories. 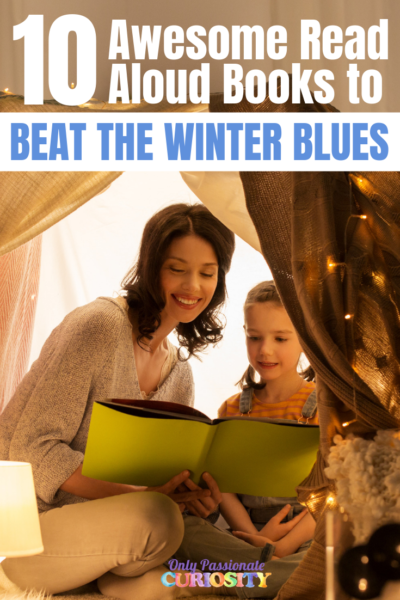 There are little games and puzzles along the way which help keep your child on their toes as they work their way through the material. One of the coolest things in this course is a timeline song, which incorporates all of these events into one song, designed to help your kids remember the event, what it was all about, and the order it all happened in. The song is fairly painless, and after 6 weeks, Bug has it about memorized. Each lesson includes the song, with lyrics on the screen, so your child can sing along and memorize the timeline in no time. What are the Flashcards all About? The flashcards are basically the week’s lessons, in nutshell form. On one side is a picture, and the title of the card (titles for explorers to 1815 are listed above- see the numbered list) and on the back, you’ll find a couple paragraphs worth of information, and my favorite part, a resource section which lists books you can read, and the coordinating page numbers to learn more about the topic. These resources are not the same as the books listed on the reading list, they are “spine” type books, encyclopedias and texts with non-fiction information. These cards are not “required” but I really feel like we personally needed them to get the most out of the program. When we started, we had not received them yet, and Bug struggled with the worksheet assignments because he is just terrible at taking notes (I really need to work on that with him). When he had the cards in hand, and was allowed to use them on his worksheets, his scores, and retention rose. I like to have him read over the cards between lessons, and use the resources section listed on the card to have him follow up with information from the recommended texts (so far, we’ve used the Kingfisher Encyclopedia, Explorers who Got Lost, and our History of US books) on the weekends between topics. I have had Bug use every element of this program, including the assigned reading. 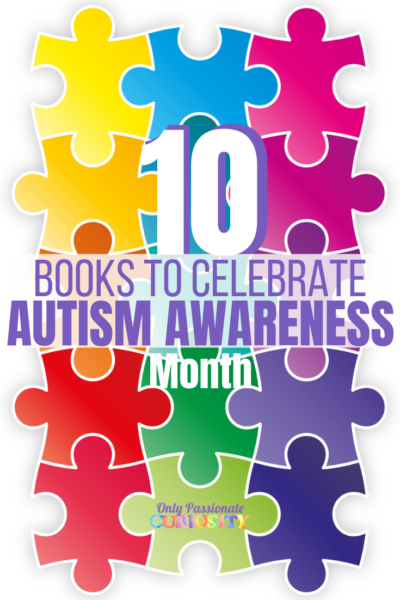 You can purchase the books from Veritas Press, but many of them are probably available at your local library. 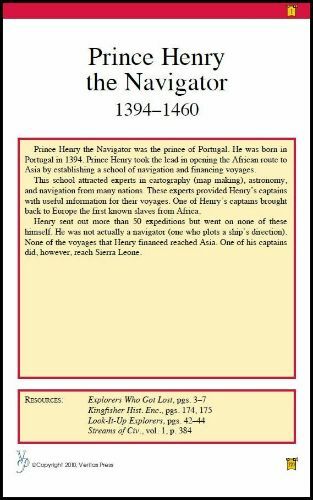 I have Bug using the lower level reading list (because he has enough challenge in language arts, and I wanted to keep history “fun”) and he has had no trouble keeping up with the reading and the program. I feel like the reading really “beefs up” the program (not that it needs “beefed up”) and makes it even more interesting for Bug. The videos and interactive elements of the course are really well done. I like that it’s not the kind of program that you just read from the screen, nor is the information and videos “fluff.” The characters in the videos keep the content lively and interesting, and I love that the historical figures come to life in interviews. The program keeps Bug on his toes with little puzzles, spelling challenges, and riddles so he’s always focused and doing something, rather than just sitting in front of the screen taking in the information. The one thing I found to be weak with this program are the “teacher” abilities you can access from the parent account assigned to your students. When I use a program like this with my child, I expect to be able to keep track of what they are doing from the grade page. With Vertias Press Self-Paced courses, you will see the grades your child has received on the worksheets and assessments, but you will not be able to actually SEE the assignment, or their answers, nor are you able to “reset” an assignment to require a student to complete it again. This was a bit of an issue for us, because my dear Bug is still a little boy, with a little boy’s attention span, so one day, his baby sister distracted him while working on a worksheet, and he earned a 68% on it. I would have liked to require him to re-do the assignment, and give him a chance to fix that grade, but there is no way to do so. This was a good lesson in diligence for him, but I would have liked to have been in more control of the lesson he was taught, and the consequences of his actions. This was also an issue for our record keeping purposes, because I expected to be able to print his tests from the teachers page, and realized too late that the only way to actually see the test and the scores is to look at it the second it pops up on the screen for the child, and print it right then and there. If you don’t do this, those worksheets (as far as I can tell) are gone for good. We remedied this by making sure Bug called me right away when a grade popped up, so I could print the assessment and take note of what he missed right then and there for our records. While I feel these weak points are important enough to mention to you in this review (because, if you purchase the program I don’t want you to make the same assumption I did and mess up your record keeping! ), I do not feel like they make a huge difference in the value of the program, or in the experience we had. Overall, we really love this program. Bug really, really enjoys his self-paced course, so much so that he asks to do it daily. I am extremely happy with his retention of the material, and how easy it is for him to pack in so much information in such a short period of time. The very best part is that it has freed me up from needing to teach history each day. Right now, I am struggling to keep up with everything on my plate due to pregnancy and morning sickness, but this program has allowed Bug to learn a huge amount without weighing me down. For families with more than one child, teachers who are short on time, or kids who work best independently, this program is really going to be a life-saver. I know it has been in my case, Bug has learned more history in the past 6 weeks, than he has in the last 6 months as I have struggled with illness. I know it’s going to be a huge help to us as well as we get ready to move because it’s on the computer and so easily portable. Veritas Press is a Christian company, and incorporates that world view into the content of their courses. Some of the courses, such as the ancient history classes and actually interwoven with biblical events, and the description of the course is clear to note the inclusion of bible history. The course Bug is taking, Explorers to 1815 does not include biblical events on the history cards. I have not seen or heard anything that would cause me to not use this course in my secular homeschool. I chose to understand that there may be a providential slant to the teachings, and chose to pair this course with readings and discussions from other world views. The only mention of religion I have noted in the Explorers to 1815 course thus far, is that the memory song does includes “one nation under god, indivisible” as a line in the song (which I view as culturally relevant, and thus, not an issue). That being said, due to the independent nature of this program I have not sat in on every lesson, and can not promise this product would be appropriate for your home. However, am am impressed enough, and comfortable enough with the contents that I have already began budgeting in our purchase of the next course in this series. Veritas Press Self Paced Courses retail for $199 per course, and the flash cards sell for $19.99 per course. Siblings can sign up for the same course with a $100 dollar discount. You can see a two week sample of each course on the course description page to see if the format is something that will work for your family. Veritas Press is having a SALE right now! Get this course for $99! There are 100 other reviews, covering every level of this program, and even the Omnibus courses offered by Veritas Press over at the Schoolhouse Review Crew blog. You can read many different perspectives from homeschoolers with other worldviews there. If you are considering purchasing this program, I hope you check them out! I once enjoyed Veritas Press curriculum and the program opportunities offered to children in classical education. HOWEVER, my recent enrollment in a LIVE online class has made me rethink Veritas Press! I would NEVER recommend this school to my friends again! I cannot even get a response from ANYONE within the Veritas Press program regarding the multiple issues of NOT being able to communicate with my daughter’s instructor nor access material needed for the class! It is now Two weeks since enrollment and from day one have made contact and have received nothing in return for what we purchased! NEVER, EVER will I send money this way again! Yikes! I am sorry to hear you’ve had a bad experience with them. I hope someone gets in touch with you soon – we’ve never taken a live class through them, but this doesn’t sound right at all. Have you tried messaging them on Facebook yet (and leaving a message on their wall?) I’ve found I get fast responses when I use social media to reach out. Thanks for your thorough and great review. What grades is this program recommended for?